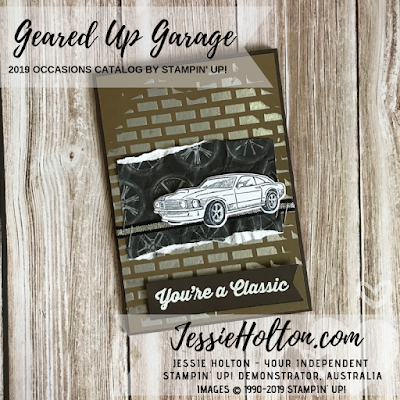 This is another Classic Garage Suite Masculine Card using Geared Up Garage with Embossing Paste. So much fun! The Brick mask from the Pattern Party Decorative Masks makes a perfect masculine background on the Soft Suede & Early Espresso cardstocks. 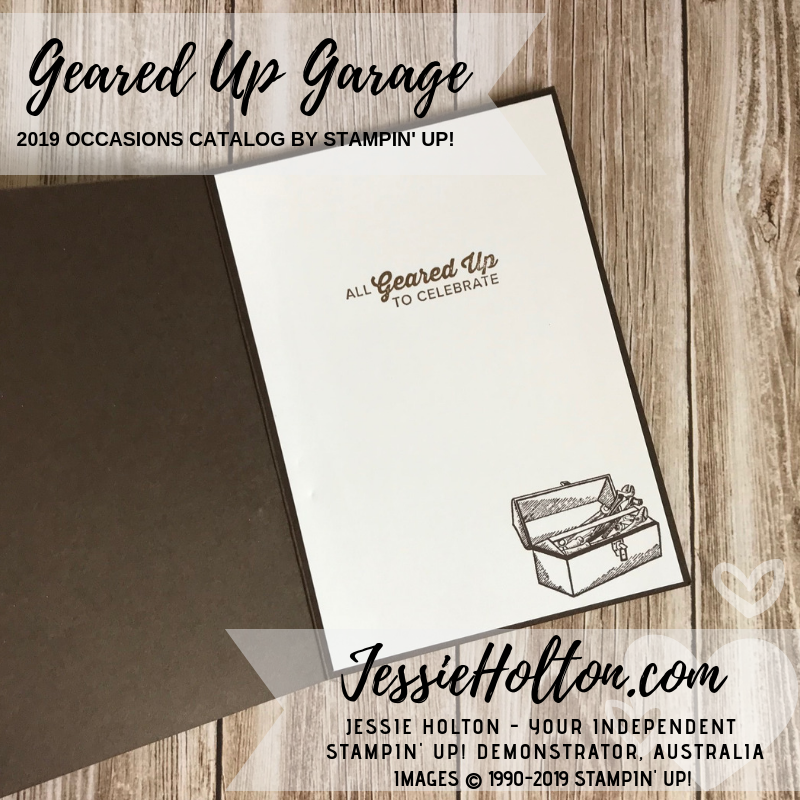 I've ripped the edges & scrunched up the Classic Garage Designer Series Paper (DSP) before I stapled it onto the card with the ribbon & a matt white car, stamped & die cut with the Geared Up Garage Bundle. The sentiment is White heat embossed but some of the girls at camp silver heat embossed theirs & that looked great, too. 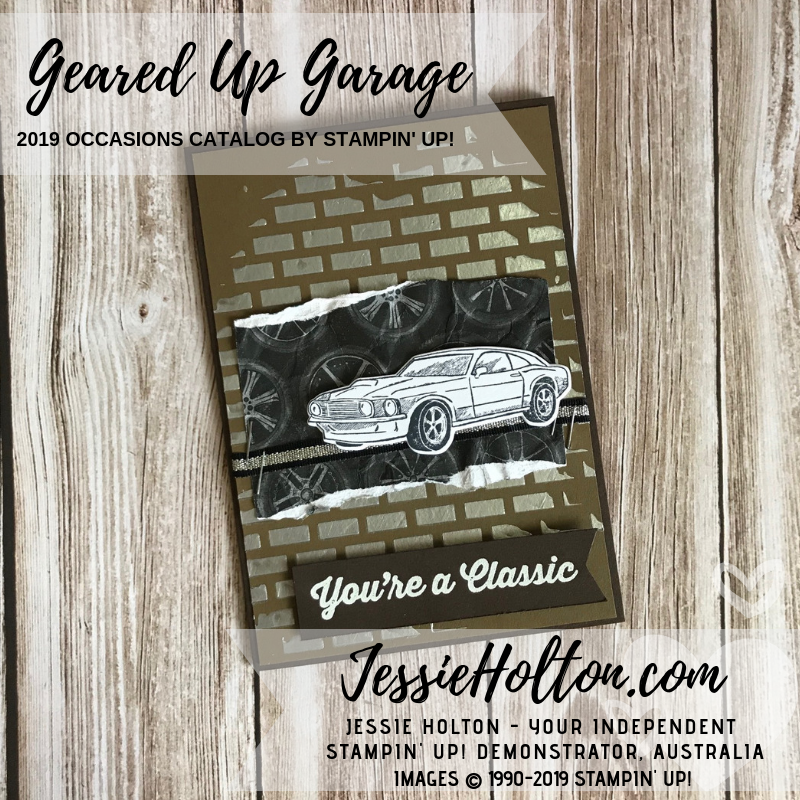 The inside is stamped with Soft Suede & Early Espresso. And here's my quick YouTube Video, which I would love it if you gave it the thumbs up & subscribe to my channel so you never miss a video.